Every generation is defined by the toys they grew up playing with. We’ve come a long way since Barbie dolls and Beanie Babies. But one thing that hasn’t changed is just how cute these toys are. L.O.L. Surprise! dolls are quite a phenomenon! You never what you’re going to get with their surprise packages but that doesn’t stop kids for wanting to collect them all. With each new series, we get another batch of adorably fashionable dolls. 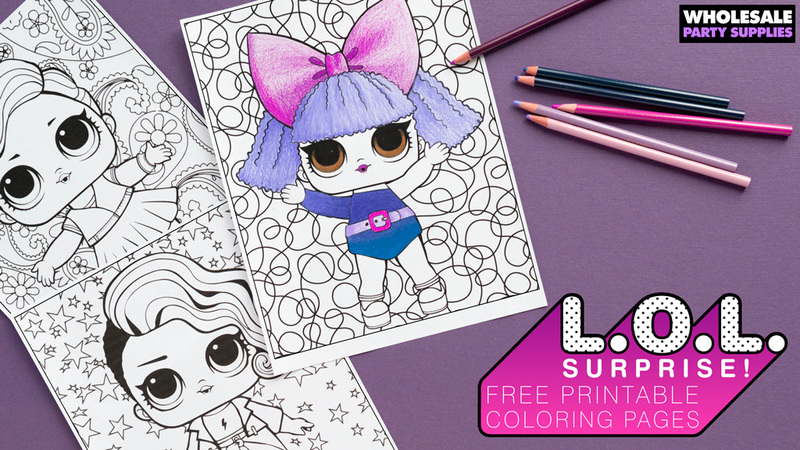 Your little one will surely recognize all the dolls featured on our L.O.L Surprise! party supplies, like Diva and Queen Bee. But that doesn’t mean you can’t still pull out some surprises at her celebration. Luckily for you, you don’t have to go into planning the perfect LOL Surprise! birthday party blindly. 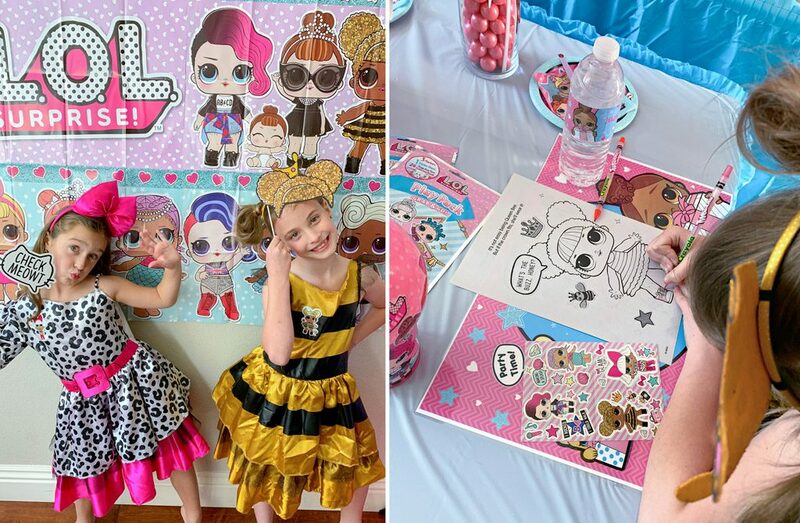 We’ve put together a bunch of tips and tricks that will bring these stylish dolls and their pets to life for your little one and all of her friends to enjoy! 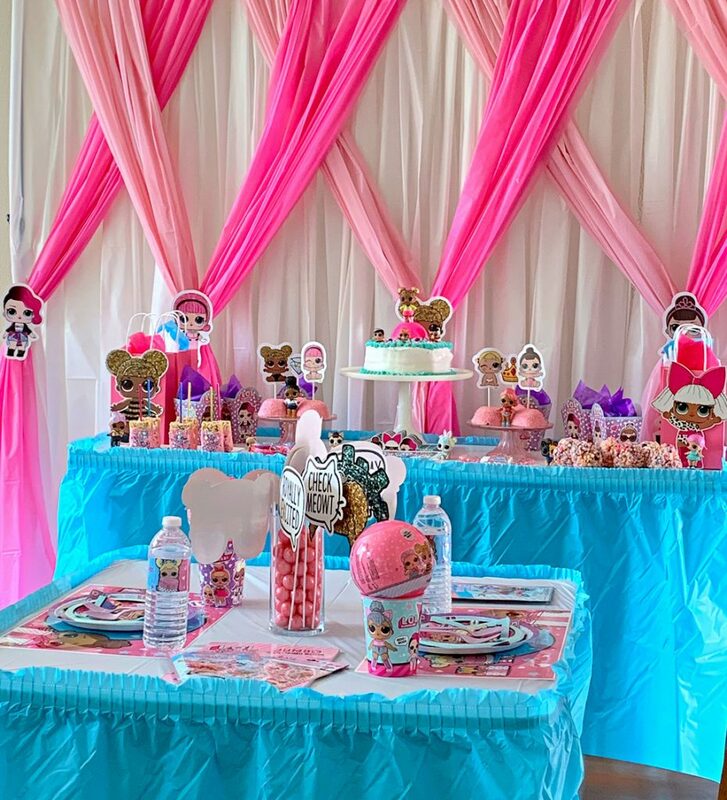 Check out all of the ideas that Kylie from Made By A Princess put together for this post. 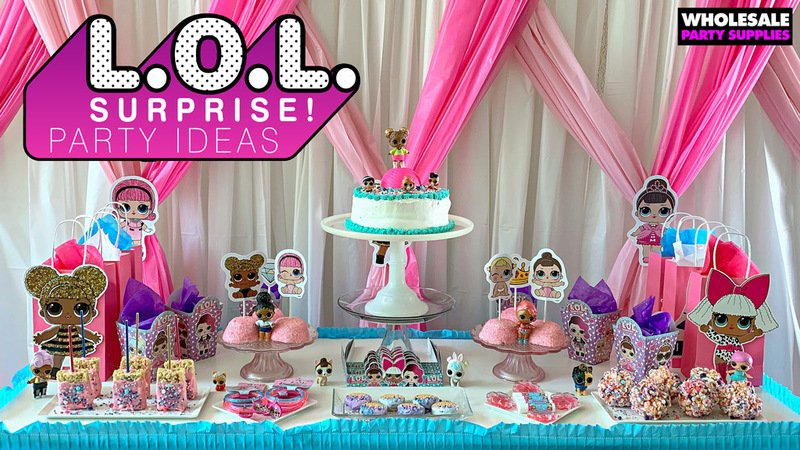 Then head over to her blog for party ideas and printables for all occasions! Want to see everything used in this party? Check out the unboxing video! Hey Dolls! Grab your BAEs because it’s time to party! All Queen Bees, Cheer Captains, Divas, and Merbabies are invited! Your guests will squeal with delight when they open this invitation. LOL Surprise Dolls are the cutest little babies in town. 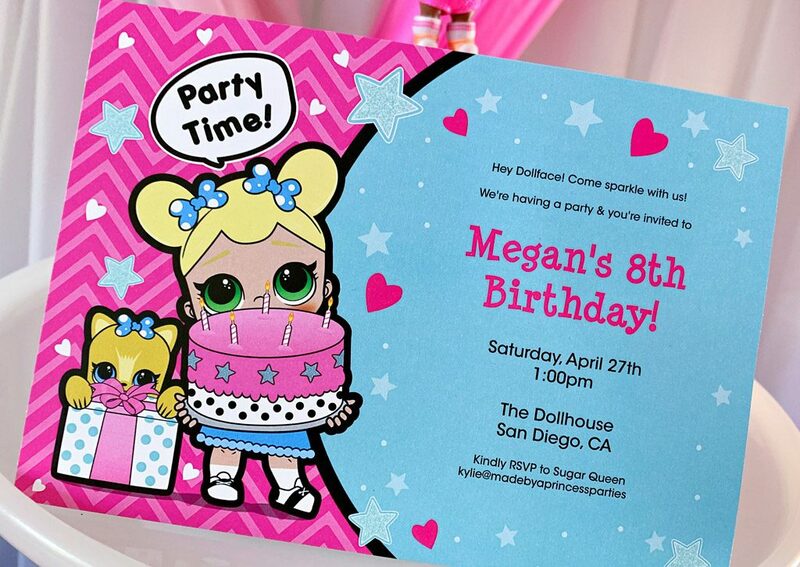 You can customize your invitation by asking each guest to dress up as a different character or ask them to bring their dolls to play or exchange. 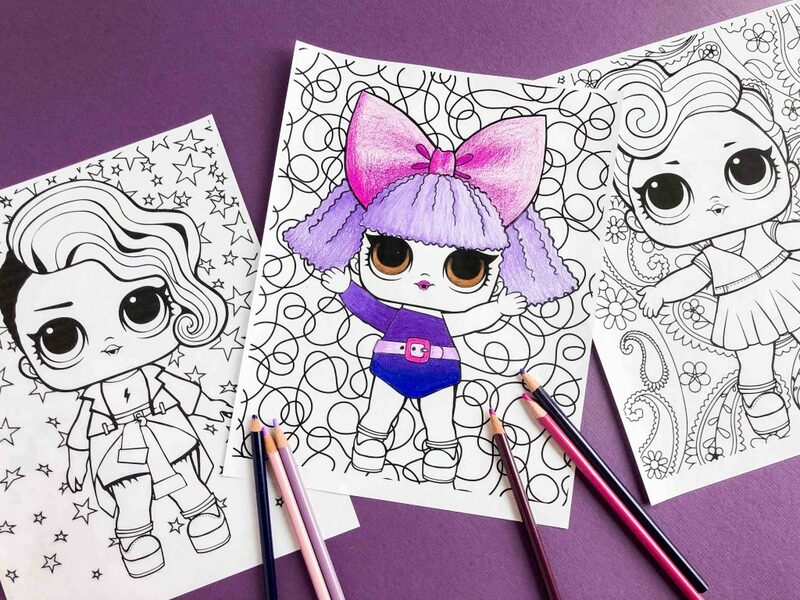 LOL Surprise Dolls are all about glitz, glitter, & glam…the girlier the better! 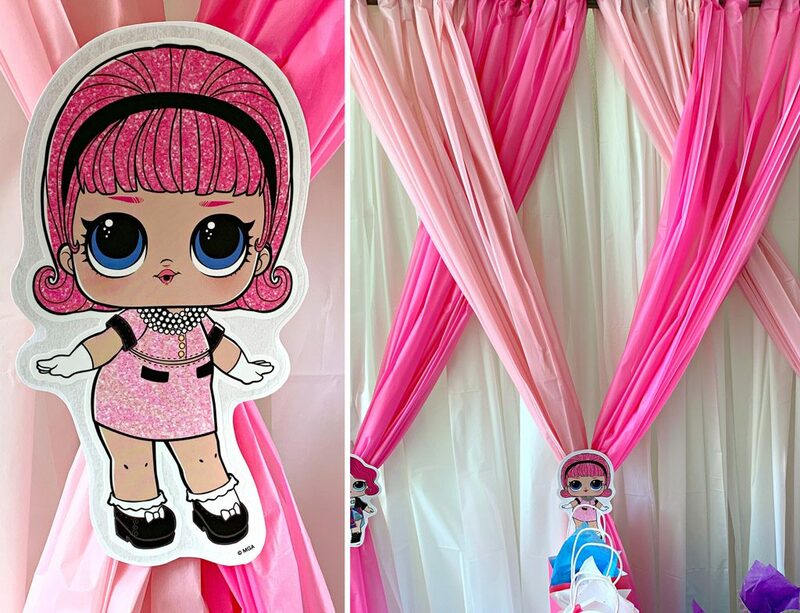 Create a unique and stunning backdrop using white, pink, and hot pink plastic table covers to look like elegant curtains. A turquoise table skirt ties in the pretty aqua accents found throughout the paper goods and favors. Wall decals aren’t just for walls! Place a decal on cardstock and trim around the image to make cute cupcake toppers and backdrop medallions. When you’re done, carefully peel off and use to decorate the birthday girl’s room. You can use them in floral centerpieces as well by adhering a wooden skewer or skinny dowel to the back of the cardstock. Place one large one in the middle or a few smaller “babies” peeking out of the flowers. 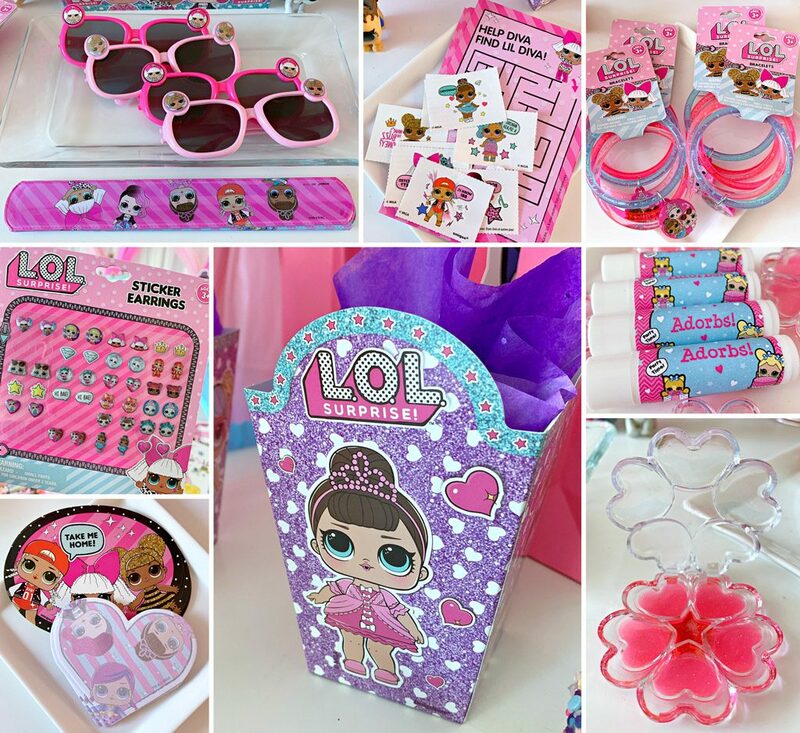 The LOL Surprise tableware will help keep the theme going through meal time. Save money by using photo props as a centerpiece for your dining table. Fill vase with any kind of candy (large pink gumballs, pink Sixlets, turquoise M&Ms, etc…) and place in the middle of the party tables. Party goers can choose their characters and thought bubbles and use them for a few selfies. Depending on the time of day, you can totally get away with hosting a dessert party! 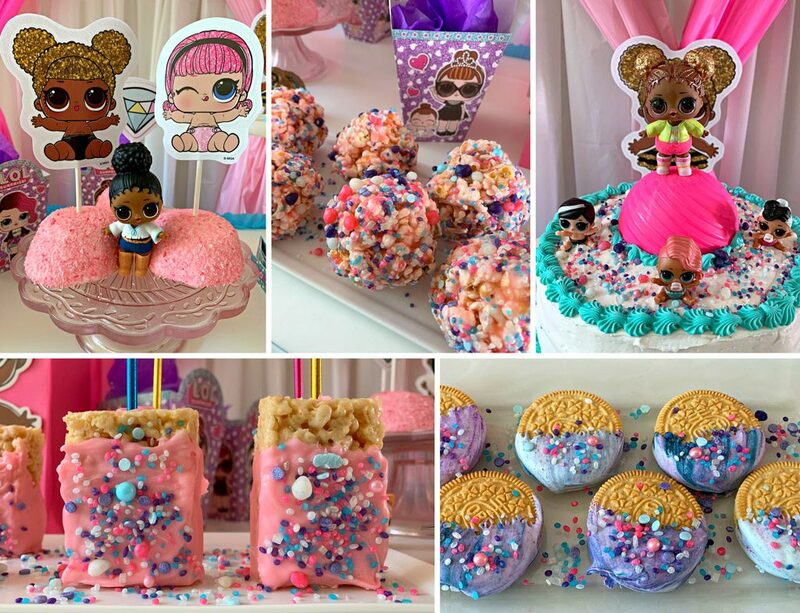 Decorate a cake with fun and delicious CandyFetti from Sweets Indeed (the Cupcake mix is perfect for an LOL Surprise party!). Place a few LOL Surprise Dolls right on the cake and you’re all set. Rice Krispie Treats dipped in pink chocolate are really easy to make and are always a hit with kids. Another great thing about them is that they are gluten free so guests who have gluten allergies can still enjoy them. Just make sure the melting chocolate is gluten free as well. While the candy is still warm sprinkle CandyFetti on them. Chocolate dipped OREOs are also easy to make and can be made days ahead. Dip OREOs in melted chocolate and sprinkle with CandyFetti. To get the marbled look, dip a toothpick in a pot of icing color, and let a couple drops fall into the chocolate. Repeat with each color. Carefully swirl the colors around but not too much. You don’t want the colors to blend and lose the marbling effect. Dip the cookie in and let harden on wax paper. Sprinkle CandyFetti on before it dries. When was the last time you made candy popcorn balls? When was the last time you ate one?! Throw back to your childhood days when neighbors made these for Halloween. The method is pretty simple and is just as delicious as you remember. You can make them any color you like and can make them virtually any flavor you like with extracts like mint, cotton candy, peppermint, banana, or cherry. Pink Coconut Snowballs are the perfect LOL party treat because they look like half of the cute little balls the dolls come in. No prep or planning is needed for these…just a pretty cake plate and you’re all set! Since LOLs love their accessories how about a fashion show?! Create a mini runway with a pink carpet runner and let your mini divas strut their stuff on the catwalk. Most everything you need is probably in your little girl’s room right now! Grab some hats, boas, necklaces, rings, Halloween costumes, and tiaras and place in a basket or box. 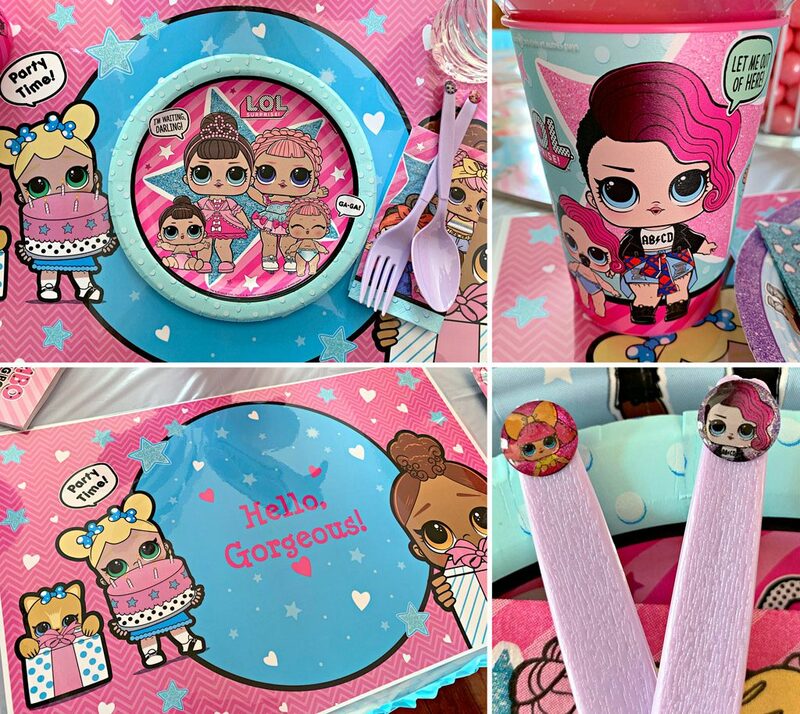 Guests can choose their own accessories including darling pink LOL Surprise Dolls sunglasses found in the 48 piece favor pack. Another fun activity is Pin the Bow on Diva or Pin the Crown on Queen Bee. You can easily create a poster using images online to make your own LOL version of this classic game. 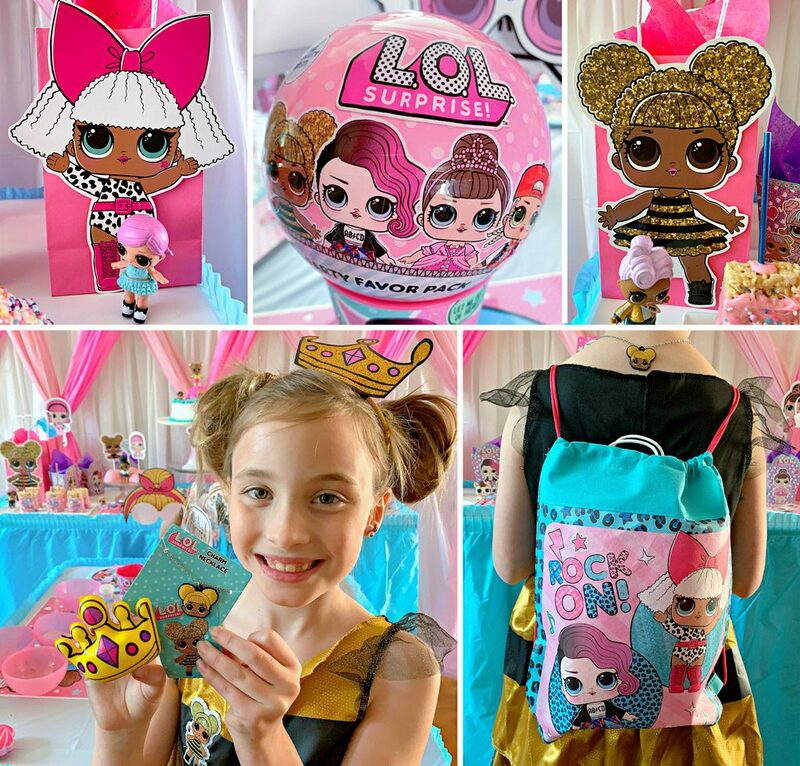 In addition to a favor bar, which everyone will absolutely adore…the best and definitely the most favorite favor will be the LOL Surprise Dolls Favor Ball. No one will know what they get until they open, just like the toys. They will have so much fun revealing their special mystery prizes with their friends. Inside each one they will find a necklace, a squishy (which can’t be found anywhere else), a sticker, and a lip balm. Hit of the party…we promise! One thing that won’t be a surprise at your L.O.L. Surprise! party is how much fun your guests will have. Connect with us on Facebook, Twitter, and Instagram! Keep up with all of our party ideas and DIY projects and see what we’ve been saving on Pinterest!